Chaplaincy for Patients with Mechanical Ventilation: "A Remote Important Region"
Poet William Stafford called the voice "a remote important region in all who talk." Chaplains seek and honor that"important region" even when particularly "remote" even, for example, in those who cannot speak due to mechanical ventilation. This webinar builds on hospital chaplains' experiences visiting people who are "on the vent," or "trach'd." They are often awake and capable of interacting but unable to phonate. This presentation teaches chaplains how to improve their visits with this patient population, by drawing on best practices from nursing and speech therapy. It incorporates recent changes in critical-care medicine that impact these patients. And it introduces an illustrated spiritual-care communication card specifically for use by chaplains (and shares research about the card's effectiveness). With this knowledge and training, we can better respond to the challenges and distress of mechanical ventilation as opportunities for spiritual care. 1. Integrate, model, and teach best practices for communication with patients on mechanical ventilation. 2. Use an illustrated spiritual-care communication card as an evidence-based tool for chaplaincy. 3. Intentionally prioritize visits to this subset of patients, which will thereby improve chaplaincy triage and align us with current trends in intensive-care medicine. 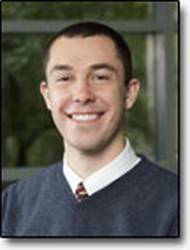 Joel Nightingale Berning MDiv has worked as a chaplain in the Pastoral Care & Education department at NewYork-Presbyterian Hospital since 2010, as resident, chief resident, and now staff. He studied at Union Theological Seminary, which awarded him the Traveling Fellowship, its highest academic honor to a graduating student. He has also been a teaching fellow at Union. He serves APC as chair of the Conference Education Task Force and Education Committee member.